The Army must be a force capable of exerting ‘land power for strategic effect across the modern spectrum of peace, crisis and war’. To this end the Army must be able to defeat peer forces in a conventional setting as well as have the versatility to quickly move to stability and peace-time operations. Army’s mission follows that the brigade headquarters, as the key land C2 node, must also have the capability to meet these challenges. The aim of this post is to spark a discussion on the requirements for the headquarters and acknowledges that the proposals made are only one view of an intricate problem. This piece was created in collaboration with the Atlantic Council, where Robbie Gramer is currently associate director of the Transatlantic Security Initiative. The views expressed are solely those of the author. The attempted coup in Turkey shocked leaders across the countries of the NATO alliance. Turkey has been a member of the alliance since 1952, three years after NATO’s inception. Recently, it has become the alliance’s conduit to the troubled Middle East and an integral member of the transatlantic anti-ISIS coalition. NATO, an alliance based on the transatlantic values of democracy, freedom, and human rights, has grown incredibly uneasy over Turkish President Recep Tayyip Erdogan’s response to the coup. In recent days, he has purged sectors of the government, including the military, the Ministry of Education, and the judiciary branch. Erdogan talks of reinstituting the death penalty to punish the coup plotters, and the president is consolidating power in a way that dismantles many elements of Turkey’s already weak democratic system. Turkey, U.S. Secretary of State John Kerry said, is veering away from NATO’s “requirement with respect to democracy.” Many interpreted this as a veiled threat that NATO could reassess its relationship with Turkey -- that it could even revoke membership. But Ankara’s worrying backslide from democracy will not change Turkey’s status as a member of NATO. A coup in a NATO member country, while shocking, is not without precedent. Since joining NATO in 1952, Turkey has undergone four successful military coups that the alliance accepted in stride without jeopardizing Turkey’s membership status -- the most recent took place in 1997. Beyond Turkey, other NATO members have faced coups that in the did not threaten the long-term security or vitality of the organization: a failed coup in France in 1961 in the wake of the disastrous war of independence in Algeria; a successful military coup in Greece in 1967 that lead to seven years of military rule; a failed coup in Italy in 1970; and a successful military coup in Portugal in 1974. * A Peak Into Our Deep Dive An in-depth study of global developments. Ankara appears in disarray, but the attempted coup is unlikely to prevent it from taking the necessary steps to emerge as a major power. In our 2040 forecast, we identified Turkey as a major emerging power. We believe it will project power southwards into the Middle East, westwards into Europe and northwards into the the Black Sea region. However, Turkey is currently mired in problems at home and struggling on the international front. This was the case even before the July 15 coup attempt. Therefore, the question is: what can be expected from Turkey in the coming years and decades? To answer this question, we will examine Turkey’s imperatives in this Deep Dive. We also need to look at the constraints that the Turks will be operating under. By understanding its imperatives and constraints, we are able to forecast the country’s future evolution – irrespective of which personality or faction is at the helm. We define imperatives as the actions that a state must take to survive and flourish. They stem from the confluence of its geography, demographics and available resources. The most basic imperative is to control and govern a core territory. Once that is realized, a state then will turn to its second imperative pertaining to the relationships it must maintain with neighboring actors and those further afield. ** Were Turkish Coup Planners Involved in Downing Russian Jet? Erdoğan is using the coup attempt to reframe Turkey’s relations with Russia. The pilots who were involved in shooting down a Russian aircraft in November that briefly intruded on Turkish airspace have been arrested by Turkish authorities. A Turkish official said the arrests were in connection withthe failed coup. With this, one of the main outcomes of the coup attempt is becoming obvious. President Recep Tayyip Erdoğan has decided to repair relations with Russia and is using the attempted coup to demonstrate to the Russians that he was not involved in ordering the downing of the aircraft, but that his political enemies were responsible. There are some problems with this version of events. The intercept of the Russian fighter jet took place after a number of incursions into Turkish airspace. According to multiple sources, including Turkish ones, the Russian plane that was shot down was over Turkish territory for a very short time. The tactical air defense controllers did not have time to query the national command authority (their bosses) for permission to shoot. The decision to shoot down a Russian plane entering Turkish airspace had to have been made before the incident. The alternative is that the tactical controllers on the ground, not the pilots, acted without authority. That would mean that the command to shoot came from at most a colonel in tactical ground control. The Turkish government, including Erdoğan, reacted immediately and without hesitation charging that the incursion was not the first and that the Russians had been constantly violating Turkish airspace. They vigorously condemned the Russians. There was never any official or unofficial leak indicating that there was anything amiss with the shoot down, no one in the air or on the ground was relieved of their duties and there was no indication of an investigation. Beijing projects an image of strength but its weakness often shapes its polices. This is a map of attacks either directly carried out by the Islamic State or inspired by their message. 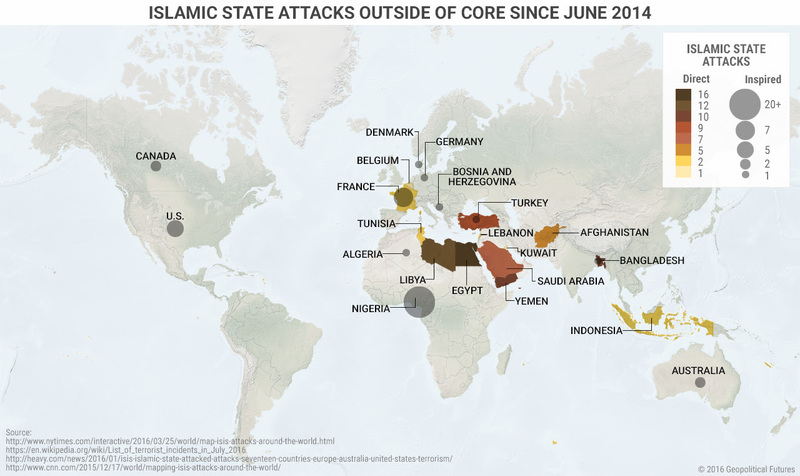 The map does not take into account attacks in Syria and Iraq, as that is core Islamic State territory and strikes there are directly linked to IS’ goal of maintaining territorial control of its caliphate. The goal of this map is to show the global reach of IS ideology and activities. IS has either directed or inspired attacks on every major continent except South America, and South America’s exceptional status is not for lack of trying. IS has targeted majority Muslim nations from Tunisia to Indonesia. It has targeted Western nations from the United States to Australia. There are roughly 1.6 billion Muslims in the world. Islamic State, however falsely, purports to speak for them all. Its ambitions are global. The Islamic State’s center of gravity is the small state it has carved out in what used to be Syria and Iraq. If you are a regular reader of Geopolitical Futures, you know that we have a very sober view of just how strong IS is in its core territory, and we expect that it will be much more difficult to take it away than the U.S. and its allies indicate. The deeper point, however, is that even if the necessary political will and military resources are put into destroying what IS has built in Raqqa (the U.S. announced this week that it is adding another small infusion of troops into Iraq), it will not solve the problem. The most potent thing about the Islamic State is that it is not just a physical entity, but an idea, one that has spread far beyond the confines of the Syrian and Iraqi deserts. You cannot carpet bomb an idea. ** Politics in Thailand Twilight of the king After the ailing monarch goes, what next? TO THE casual observer the country is calm and orderly. And reverential: adorning a sweet-seller’s stall in a buzzing market in Bangkok, Thailand’s capital, are a dozen laminated pictures of the 88-year-old King Bhumibol Adulyadej who, on the throne since 1946, is the world’s longest-reigning monarch, indeed the only king most Thais have ever known. During his reign Thailand has become one of the richest big countries in South-East Asia, a manufacturing hub and a magnet for tourists. 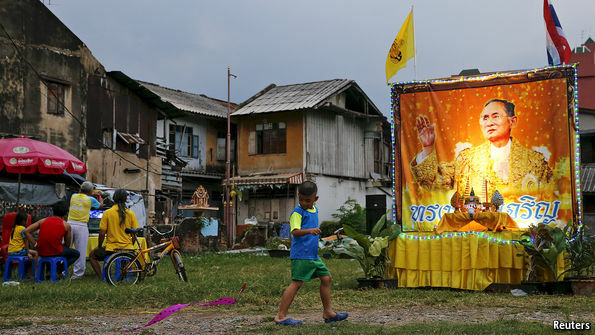 Bhumibol’s picture is everywhere, including in millions of homes. As for the ailing king himself, who lies in a hospital just opposite the sweet-seller’s stall—he has not been seen for months. The palace rarely breaks its silence. But in June and again this month doctors said they had drained fluid from his brain. Whether it comes in weeks or years, the king’s passing will be more than a milestone. His death may set loose centrifugal forces that a coup in 2014 sought to contain, but seems destined in the long run only to aggravate. Below the surface, Thailand is deeply fractured. And so the army-enforced calm accompanying the king’s twilight is fragile. Not least of the problems is that his successor, the crown prince, Maha Vajiralongkorn, is deeply unpopular. After Bhumibol’s death the country, a crucial ally of America’s in South-East Asia, risks descending further into civil strife and economic dislocation, as an elite around the palace resists popular calls for a greater say in politics and a more equitable sharing of wealth. At that point, all bets about Thailand’s stability and prosperity may be off. This information was given by Defence Minister Shri Manohar Parrikar in a written reply to Shri Sanjay Raut in Rajya Sabha today. Information operations are complex requiring detailed planning and execution. In the overall context, information operations must include psychological operations, computer network operations, electronic warfare and military deception, the US military even adding operations security in the integrated mix of information operations. It should be abundantly clear that friendly relations with Pakistan are a pipe dream unless Pakistan implodes or is balkanized and cut to size. Looking at the larger picture, information operations are just one part of ‘hybrid warfare’ that we have been contending with. But here we examine how perception management is being executed by Pakistan to incite violence in India, particularly in J&K. The fact remains that the basis of Pakistan’s survival has been the two-nation theory that founded Pakistan. Sure, Pakistan’s sense of direction went more awry after losing East Pakistan and West Pakistan lost the prefix ‘West’, and perhaps more regions of Pakistan may be lost same way, but the fact remains that Pakistan has been in illegal occupation of 678,114 sq kms of India (State of J&K that legally ceded to India), of which 5,180 sq kms of Shaksgam Valley Pakistan ceded to China in 1963 in exchange for nuclear technology and military aid. Yet Pakistan, eyes more and more, egged on by full support of China. Pakistan recently observed ‘Black Day’ on July 19 while Nawaz Sharif declared, “Pakistan would continue to extend moral, political and diplomatic support for Kashmiris in their just struggle”. It should be abundantly clear that friendly relations with Pakistan are a pipe dream unless Pakistan implodes or is balkanized and cut to size. What else would you deduce from the recent statement at a public rally in Muzaffrabad, where he said, “We are waiting for the day Kashmir becomes (part of) Pakistan. Their movement for freedom cannot be stopped and it will be successful. You are aware of how they are being beaten and killed. All our prayers are with them and we are waiting for the day Kashmir becomes (part of) Pakistan”. Students of matters military will vouch for the shape of the battlefield in the 21st century. All battles will be preceded by an intense air battle to attempt to destroy the war-waging potential of a nation; which in our case may be two forces joining hands to come at us with the full threat spectrum. In such a scenario, a formidable ground based Air Defence to will be required to combat this threat. 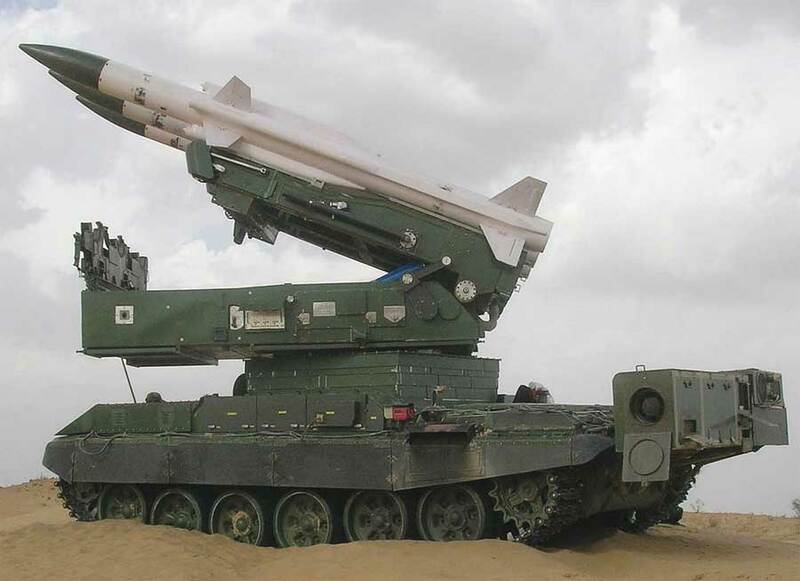 The proposed ground based Air Defence system is also be a threat that will prominently figure in the enemy’s calculus while considering the option of an aerial attack. The present condition of our ground based Air Defence does not allow us the luxury to wait much longer. Air Defence gunners are the only soldiers in the world who do not dive for cover when they see an attacking aerial threat. They stand back and fight so that others can be safe to continue the battle. Air Defence encompasses all actions initiated to protect national assets against aerial threats. These actions can range from purely passive activities such as dispersion, camouflage or concealment of the important assets, to active measures which aim at destroying the threat, well before it can cause any damage or destruction or effectively deterring it from carrying out its mission. Assets meriting protection can be symbols of national pride such as the Parliament, strategic assets such as the nuclear installations, refineries, economic assets and war-like assets, which will enable us to initiate punitive action to destroy – war waging potential of the enemy. The last category will include, amongst others, air bases, major logistics/administrative/communication installations and battle assets such as the field force headquarters, concentration of mechanised forces, gun areas and troop concentrations. The environmental, social, and diplomatic costs of the world’s largest irrigation infrastructure project. India’s ambitious plan to interlink rivers to achieve greater equity in the distribution of water in the country reached an important milestone on July 6, when water from the Godavari, its second-longest river, rushed to meet the fourth-longest, the Krishna. The two became the first of 30 rivers to be linked under the Interlinking of Rivers (ILR) program. Touted as the world’s largest irrigation infrastructure project, the ILR program involves construction of around 15,000 km of new canals and 3,000 big and small dams and storage structures. Broadly, it has two parts: the Himalayan rivers component with 14 links and the peninsular component with 16 links, which will transport 33 and 141 trillion liters of water, respectively, per year. The Godavari-Krishna link is part of the latter. The idea of interlinking rivers isn’t new. Even in ancient times, rulers and engineers the world over sought to divert rivers to parched lands. In 1858, when India was under colonial rule, British engineer Sir Arthur Cotton proposed interlinking India’s major rivers for inland navigation but his plan remained on the drawing board. Variations of this project have been put up in more recent decades. But successive governments did not pursue these plans due to financial and environmental concerns. It was only with the Bharatiya Janata Party coming to power in 2014 – it is a strong proponent of interlinking rivers – that the ILR program took off. India has multiple water-related woes. Besides its enormous dependence on the erratic monsoons, its basin-wise availability of water varies greatly due to uneven rainfall and population density. According to a Ministry of Water Resources report, in 2010 the average per capita availability of water in the Ganga-Brahmaputra-Meghna system was 20,136 cubic meters per year compared to 263 cubic meters in the Sabarmati basin. India's BrahMos supersonic cruise missiles, mounted on a truck, pass by during a full dress rehearsal for the Republic Day parade in New Delhi, India. Long among the world’s top importers of weapons, India now wants to turn its military related trade into a two-way affair by enhancing defense exports from its soil. This new emphasis on exporting military wares has yielded early results with Indian defense exports doubling over the course of the past year to about $330 million. India’s defense minister Manohar Parrikar, however, has set his sights higher and wants annual military exports to touch $2 billion in a couple of years. While the initial growth in sales has been driven by exports of military stores due to the removal of excessive controls, reaching Parrikar’s target would require Indian diplomacy to re-orient itself toward securing weapons contracts for major indigenously-developed systems under the aegis of the government’s “Strategy for Defense Exports” (SDE). SDE, which is overseen by the Department of Defense Production (DDP) in India’s Ministry of Defense (MoD) is intended to boost Prime Minister Narendra Modi’s “Make in India” scheme while consolidating Indian influence abroad. In the initial phase, India’s defense sales effort is likely to concentrate on homegrown missile and naval systems, which have high indigenous content in terms of components. Of course, India will also progressively leverage the various international collaborations it has built up through years of co-production and co-development as it joins global export control regimes such as the Missile Technology Control Regime (MTCR). While India will try to export certain classes of tactical systems as widely as possible, weapons with greater strategic import will obviously be offered to select partners. Overall, India is likely to focus on a few key defense partners with which it has maximum strategic congruence for building up its position in the global defense market. In the latest dispute between India and Pakistan, Islamabad has taken New Delhi to the International Court of Arbitration in The Hague over a longstanding water treaty. The move does not bode well for bilateral mediation between the two adversarial neighbors, and it underscores the greater difficulty of solving water disputes throughout the entire region. India, Pakistan, China, and Bangladesh rely on the same rivers for the wellbeing of their people, economies, and ecosystems. While every party agrees the stakes are incredibly high, there has been inadequate agreement on the multilateral frameworks and information sharing that could reduce rather than inflame regional tensions. The argument over water between India and Pakistan dates back nearly as far as the partitioning of the two countries. In 1948, India, holding the headworks of the Indus river, cut off all canals under its control to prevent the flow of water into Pakistan. Early international arbitration sought to install a control-sharing agreement, but the reluctance of either side to reach a deal forced a different solution. Control of the Indus river’s tributaries was split in half and formalized in the 1960 Indus Water Treaty (IWT). The bilateral commission that oversees water disputes has operated to the present day. However, its influence may be waning as water scarcity becomes more frequent and pronounced while each country places greater demands on the water supply in the form of hydroelectric dams and increased agricultural production. To make matters worse, each side has been cagey about releasing water data related to their respective hydroelectric projects. Such behavior increases mistrust and hampers efforts to provide stewardship over a shared resource. Sana Ali, a South Asia fellow at the Stimson Center told The Cipher Brief that withholding data “…reduces governments’ ability to effectively plan and manage existing resources, prepare for natural disasters, and mitigate some of the effects of climate change.” Additionally, Geoffrey Dabelko, a Senior Advisor at the Woodrow Wilson center, told the Cipher Brief that there is a strong precedent for effective information sharing: “…data sharing regimes have proven to be resilient mechanisms for continuing to cooperate on the ground while incendiary headlines dominate.” Data democratization and partnerships between governments and civil society organizations could reverse the trend of growing tensions over water supply. High within a Himalayan valley, snow-capped peaks rising all around, the nation of Tibet is alive. Houses made from mud and wood crowd together in lines and in the paths that run between, Tibetan prayer flags blow in the wind. The phrase “tashi delek” echoes through the streets as neighbors passing each other clasp their hands together, bow their heads and exchange greetings in Tibetan. Many of them wear small photos of the Dalai Lama around their neck. The Dalai Lama, the spiritual and political leader of Tibet, fled Chinese occupation in 1959 and set up a government-in-exile in Dharamsala, India. Hundreds of thousands of refugees followed, and with the help of the government-in-exile, created a network of Tibetan settlements throughout Nepal and India aimed at preserving their culture and identity. 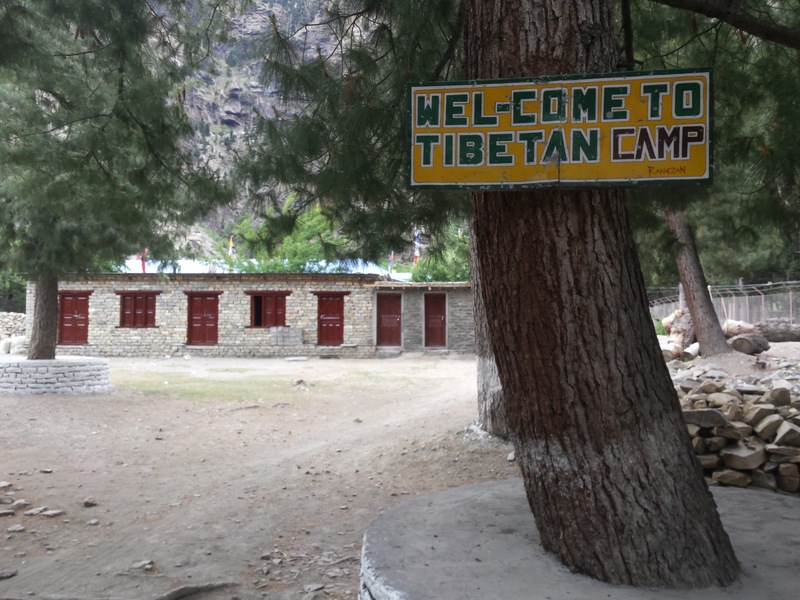 The Tserok camp, a remote Himalayan outpost in Nepal, offers a clear example of how deep the government-in-exile can reach and how resilient the nation has been. Norbu Richoe, 70, was one of the first Tibetans to settle at Tserok. After fleeing Tibet as a child, Richoe joined a guerrilla resistance group opposed to Chinese rule that was based just over the border in Nepal’s Mustang district. After 15 years of fighting, at the request of the Dalai Lama, the fighters laid down their arms. He was a goalkeeper, the man who tamed a panther, and an all-round hero while fighting the Chinese in 1962. I met Havaldar Kirpa Ram as a seven year old and interacted with him for one year and a half, while my father was posted in 4 Sikh. The biggest gain of being an army brat is that one’s emotional quotient, or EQ, is shaped by one of the finest organisations of the nation, one that is manned by men of substance – men like Kirpa Ram. The leadership qualities of Kirpa Ram and his subsequent heroism remained permanently etched in my mind, and many a time, I’d recall them while exercising leadership over the largest military command in the world, the Northern Command. 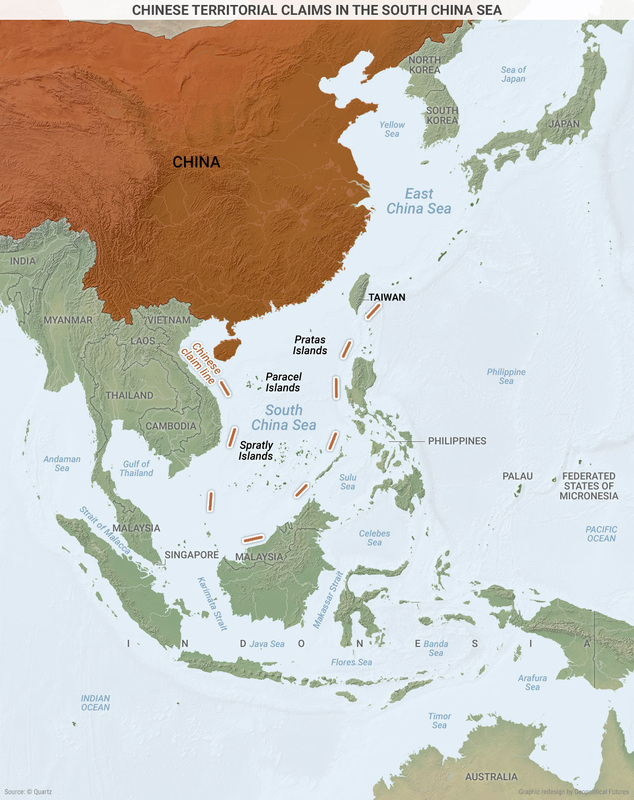 The panel effectively declared as illegitimate China’s South China Sea boundary (the so-called nine-dash line). America’s top spymaster offered contrarian assessments of some key issues: warning against “hyping” the threat posed by the Syrian al-Qaeda affiliate (terrorist group) Jabhat al-Nusra, cautioning against Obama administration plans to share intelligence with Russia on Syrian targets and questioning Turkish claims that last Friday’s coup attempt was organized by a cleric living in the United States. National Intelligence Director James Clapper made the characteristically blunt comments in an interview Wednesday. He expanded on a warning he made in an interview in May that the United States can’t by itself “fix” the problems of the turbulent Middle East. Clapper’s skeptical view is shared by President Obama and has reinforced the administration’s wariness about committing military force in Syria. Clapper began the wide-ranging discussion by questioning the recent “groundswell” of concern about Jabhat al-Nusra. He said that the Syrian al-Qaeda affiliate poses only a “nascent” danger to the U.S. homeland and “doesn’t approach the threat” posed by the Islamic State. Jabhat al-Nusra’s ability to attack the United States and Europe is “aspirational” rather than “imminent,” he said, describing as overly “strident” recent news reports about increasing evidence of external plots by the group. Clapper’s skepticism about Jabhat al-Nusra is matched by his wariness of collaborating with Russia in strikes against the group, an approach that Obama has tentatively approved. “I’ve expressed my reservations about, for example, sharing intelligence with [the Russians] . . . which they desperately want, I think, to exploit — to learn what they can about our sources and methods and tactics and techniques and procedures,” he said. Based on Russia’s record of failure to deliver on promises, “what is it they’ve done that gives you confidence that if we do more with them or share more intel . . . they’re going to improve?” Clapper asked. U.S. Defense Secretary Ash Carter announced Monday that the United States will deploy 560 more troops to Iraq, bringing the total upwards of 4,600 as preparations get underway to recapture Mosul from the self-proclaimed Islamic State. It comes as Iraqi forces and militias, with U.S. backing, have retaken large swaths of territory from the group, but this progress may come to naught if the state cannot extend rule of law to newly liberated areas, says Ned Parker, former Baghdad bureau chief for Reuters. "If there's no solution for the different sides to live together under a workable governing system, Iraq risks a future in which once again an uprising will take away land from the state," he says. This campaign is building up to retake Mosul, Iraq's second-largest city. Is Baghdad thinking about how to not just defeat ISIS militarily, but also address the underlying circumstances that gave rise to them? The recent upsurge of jihadist attacks from Nice and Istanbul to Medina and Dhaka is a reminder that the global war on terror stands derailed. The use of a truck for perpetrating mass murder in the French Riviera city of Nice shows how a determined jihadist does not need access to technology or even a gun to unleash terror. Terrorists are increasingly employing innovative methods of attack, and all the recent strikes were on ‘soft’ targets. To bring the war on terror back on track, it has become necessary to initiate a sustained information campaign to discredit the ideology of radical Islam that is fostering “jihad factories” and promoting self-radicalization. Blaming ISIS for the recent strikes, just as most attacks after 9/11 were pinned on Al Qaeda, creates a simplistic narrative that obscures the factors behind the surging Islamist terror. Attention needs to be focused on the cases where the scourge of jihadism is largely self-inflicted. This will help to highlight the dangers of playing with fire. Take the growing Islamist attacks in Bangladesh: The country’s military intelligence agency, the Directorate General of Forces Intelligence (DGFI) — like Pakistan’s rogue Inter-Services Intelligence (ISI) — reared jihadist groups for domestic and foreign-policy purposes. During the periods when Bangladesh was under direct or de facto military rule, DGFI was the key instrument to establish control over civil and political affairs and partnered with the National Security Intelligence agency in the sponsorship and patronage of jihadist outfits. Where Are ISIS's Foreign Fighters Coming From? Many come to the Middle East from countries with high levels of economic development, low income inequality, and highly developed political institutions. As of December 2015, approximately 30,000 fighters from at least 85 countries had joined the Islamic State of Iraq and Syria (ISIS). Although the great majority of ISIS recruits come from the Middle East and the Arab world, there are also many from Western nations, including most member-states of the European Union, as well as the United States, Canada, Australia, and New Zealand. Thousands of fighters from Russia and hundreds from Indonesia and Tajikistan also have joined. ISIS's recruitment of foreign fighters is a global phenomenon that provides the organization with the human capital needed to operate outside the Middle East. In What Explains the Flow of Foreign Fighters to ISIS? (NBER Working Paper No. 22190),Efraim Benmelech and Esteban F. Klor explore how country characteristics are associated with ISIS recruit flows. They discover more about what does not motivate the foreign fighters than what does. In an April 2013 interview with The Atlantic, Jordanian King Abdullah II told the world how he really felt about Recep Tayyip Erdogan, then the prime minister of Turkey. According to Abdullah, “Erdogan once said that democracy for him is a bus ride … ‘Once I get to my stop, I’m getting off.’” Indeed, to many it has seemed that Erdogan is steadily and inevitablyconsolidating power, turning a secular democracy into a theocratic autocracy with himself at its center. Recent events have cast that assumption into doubt. On July 16, with Erdogan away at a coastal resort, tanks rolled through the streets of Istanbul and gunfire echoed in government buildings in Ankara. A military statement claimed that Turkey’s armed forces had taken control “to reinstall the constitutional order, democracy, human rights and freedoms, to ensure that the rule of law once again reigns in the country.” After the attempted coup was crushed within a day, Erdogan and other officials accused Fethullah Gulen, an imam living in self-imposed exile in Pennsylvania, of being the mastermind behind the rebellion. While it is unclear to what extent supporters of the so-called Gulenist Movement were involved, the uprising is likely to have major repercussions for Turkish domestic and foreign policy, as well as the country’s relationship with the United States. As a result, understanding what motivated part of the military to rise against its elected government could provide insight into what Turkey’s future policies might look like. U.S. missile destroyer warship USS Ross is entering the Black Sea, joining a 2,300-strong drill off Ukraine’s coast, despite persistent Russian warnings to keep U.S. vessels away. Following NATO’s decision to strengthen its presence in its Baltic Sea allies, Russia has grown more vocally critical of U.S. military presence in the Black Sea. The U.S. is taking part in the annual Sea Breeze exercise, already underway off the coast of Ukraine’s port city Odessa. The drill has been co-hosted by Ukraine and the U.S. annually since 1997, with 13 countries taking part this year. The U.S. Navy announced on Friday that USS Ross had crossed through the Bosphorus strait, entering the Black Sea and was heading north toward the site of the exercise. Landing ship USS Whidbey Island also sailed into the Black Sea for the exercise, carrying 500 troops aboard, according to Ukrainian TV channel 112. Sea Breeze 2016 will see Ukraine, the U.S. and 11 other countries practice air defense, anti-submarine warfare, damage control, search and rescue, and other missions in support of maritime security and regional stability in the Black Sea. It also comes as Russia is assembling its new Black Sea Fleet off the coast of Crimea, preparing to unveil its revamped lineup in an official naval parade on the last day of July. Russia’s newest warship Admiral Grigorovich sailed into the sea last week, practicing live artillery fire. USS Ross’s venture into the Black Sea last summer resulted in it being streaked by six Russian Su-24 multi-role fighter jets, with Russia reporting the vessel was heading into Russian territorial waters but escorted away. The U.S. Navy posted a video of the incident in dispute at those claims. ANKARA, Turkey — Night had fallen and the weekend had begun, but the head ofTurkey’s spy agency remained at work in the main security compound in Ankara, struggling to track reports of strange military activities across the country. Suddenly, a roar of gunfire erupted as a fleet of choppers blasted the gates of the compound. As guards fired in the air, a helicopter tried to land beside the agency while others dropped ropes to send down commandos, according to a security official who was inside at the time, and spoke on condition of anonymity to discuss intelligence matters. More than a sudden attack on the government, the attempted coup this month has emerged as a turning point in a yearslong struggle for control of the Turkish state. The battle lines were clear: allies of President Recep Tayyip Erdogan against a collection of adversaries, including members of the military and followers ofFethullah Gulen, a Muslim cleric who leads a secretive religious movement from his self-exile in Pennsylvania. Agents inside the intelligence service had long feared a fifth column was taking shape inside the Turkish state, and they spent years compiling dossiers on tens of thousands of citizens, scrutinizing their pasts for any hints of rebellion or links to Mr. Gulen. As dramatic and violent as the night was, the aftermath has been equally stunning. Mr. Erdogan has imposed a sweeping purge, labeling tens of thousands of civil servants and others as potential enemies of the state. While Turkish officials say that followers of Mr. Gulen spearheaded the plot, it remains unclear whether the attempt was ordered by Mr. Gulen himself and how much support the plotters received from other parts of Turkish society. Mr. Gulen has denied any involvement.